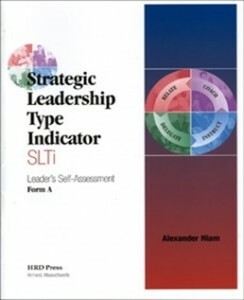 The Strategic Leadership Type Indicator (SLTi) is a self-assessment tool that helps leaders understand their own patterns of responses to varied leadership contexts, and shows them how they can respond more effectively in the future. The cases in the SLTi are designed to reflect common leadership contexts and challenges in the modern workplace. It opens up alternative ways for leaders to respond and helps them explore and evaluate these options. new habits has worked successfully with a number of leadership teams in using this effective tool.